Aerial Imagery is more accessible than ever before. In recent years, aerial imaging services have evolved tremendously. Now, thanks to drones and aerial sensor technologies, it’s easier than ever to get a birds’ eye view from above. The industries that have benefitted most from the advancements of aerial imaging services are those who rely on mapping solutions, such as the oil and gas pipeline industry or environmental consulting firms. Below is a breakdown of some of the more recent mapping solutions now accessible to these companies. Drones are incredible tools capable of capturing high-resolution images from the air. By using a technique called photogrammetry, multiple images can be stitched together to create a 2D map or 3D model of the site. Because all images captured are associated with a precise GPS reading from the drone’s onboard computer, these stitched maps make it easy to identify the exact location of features on the maps. Now, companies are using drone mapping services to gain access to locations previously inaccessible. For example, if there was a location — perhaps a sensitive wetland — that was inaccessible by foot, companies would have to rely on outdated, low-resolution satellite imagery, or send a crew out on foot to inspect the area. This often resulted in unreliable or incomplete information about the area of interest. But thanks to drones, companies can now capture reliable information through non-invasive means, more safely and at a lower cost. They can view their project at any stage with crystal-clear accuracy, as drones provide high-definition photos and maps. This allows companies to make more precise measurements using photogrammetry tools, saving them both time and money. With highly accurate maps and the ability to make precise measurements, companies can invest in preventative measures as opposed to reactionary ones. Plus, when it comes to aerial imaging services, drones are much more flexible and readily available than planes. This allows more companies to have access to photogrammetric services. What a company may not have once been able to afford is now quite reasonable. Safety is a top concern for energy companies. Job sites can often be hazardous environments. Before UAV mapping services became available, company employees would have to perform inspections and surveys in hazardous areas manually, potentially putting themselves at risk. Now, companies can keep their employees out of harm’s way. By launching a drone from a nearby safe location companies and employees alike can rest easy knowing that aerial imaging increased safety while providing more accurate information. With efficiency as a core focus of most projects, finding novel ways to perform the same tasks at a lower cost while still achieving quality results is not easy. Because UAV mapping services are so efficient, it’s much easier and far more cost effective for companies to utilize these mapping services rather than paying multiple employees to perform a surveying job. With minimal training, a UAV pilot can successfully map or survey 100 acres in roughly 20 minutes, while it takes numerous employees hours, if not days to survey the same size area. UAV mapping services can be completed by either an internal employee or a UAV aerial imaging services company can be contracted for the project. Many believe that these services are expensive or that they will need to hire and train their own employees to operate the drone, but this is not the case. With the number of third-party UAV mapping services companies growing by the day, businesses can take advantage of increasingly competitive pricing. UAV mapping services also help prevent surprises. 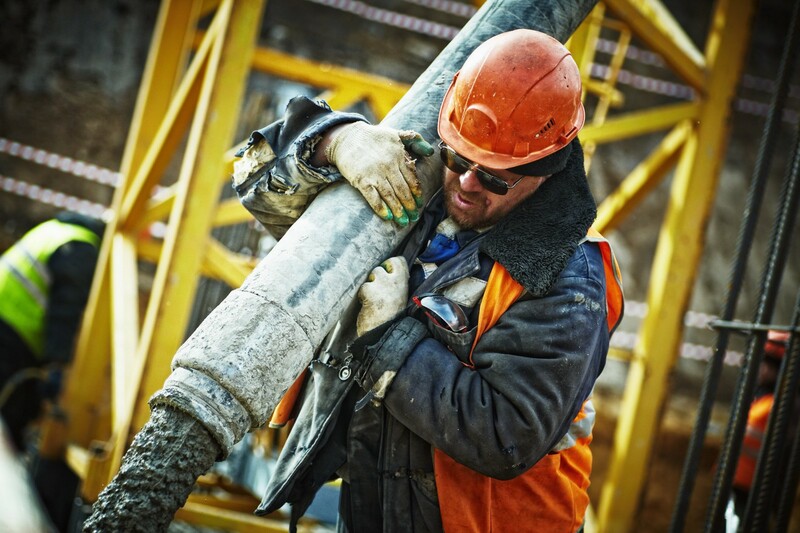 There’s nothing worse than when employees visit a job site only to discover that an accident has occurred or that the site is simply not as they expected. When these issues or unexpected events occur, companies must halt operations to determine the best way to address and solve the problem quickly. With UAV mapping solutions, companies can minimize unknowns, find and address issues more quickly and keep their operations running smoothly with a clear scope of work and directive for their workers. 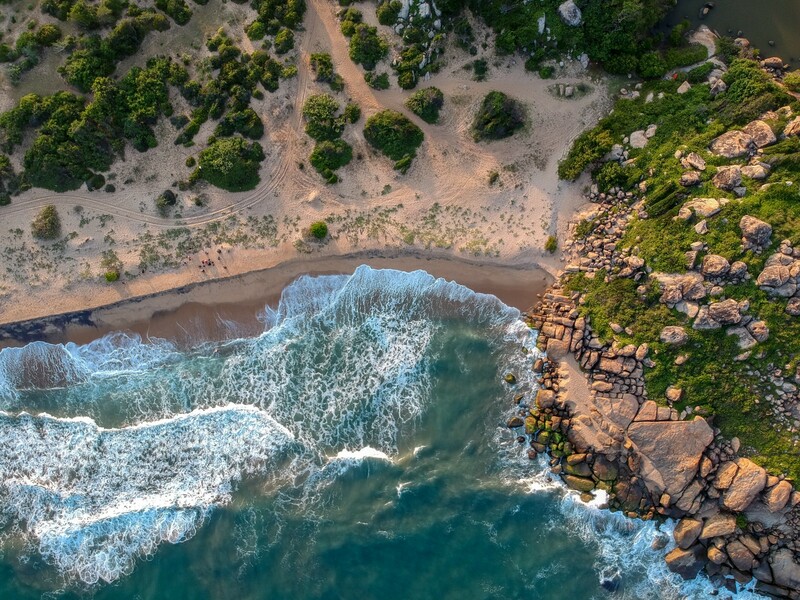 When paired with only a few traditional survey points, aerial imagery can deliver the best of both worlds by providing sub-centimeter accuracy with robust 2D maps and 3D models. These comprehensive 3D renderings are not only as accurate as traditional survey methods, but cover 100% of the survey area. Instead of relying on scattered individual survey points, these high-accuracy aerial maps paint a crystal-clear picture of the project area. By pairing accurate information with context gained from the imagery, companies are able to plan for projects more effectively, execute efficiently and handle emergency response situations when they arise. Most drones are designed to complete a broad range of general mapping tasks. These drone platforms are generally outfitted with high-quality RGB (red, green, blue) cameras very similar to what you might find in a camera or smartphone. For less than $2,000, the Phantom 4 Pro by DJI is one of the most capable and commonly used platforms for mapping. For more specialized tasks, different sensors can be utilized. These sensors range from near-infrared to LiDAR to leak detection sensors for hazardous gases. What was once cost-prohibitive or inaccessible a few years ago is now cheaper and easier to use than ever. 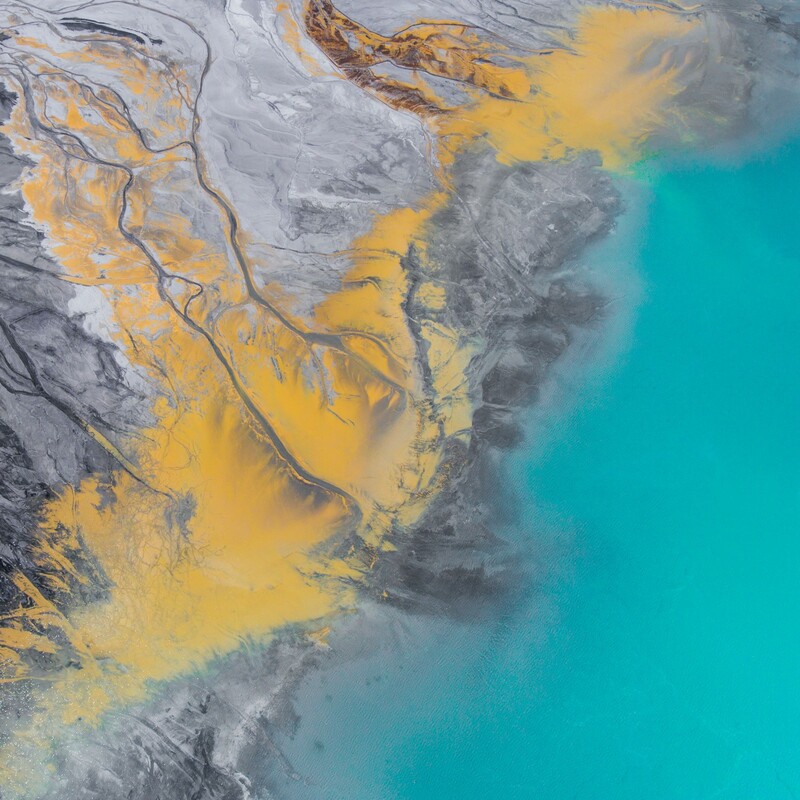 Thanks to software platforms like the SolSpec Aerial Analytics Engine, companies can now gain more information about their projects in an easy-to-understand way. After a mapping mission is flown, the images are uploaded for processing which will output high-resolution maps in a matter of hours. These maps contain an incredible amount of information that is often difficult for humans to analyze without the aid of a computer. SolSpec has created software that uses high-tech algorithms to analyze the imagery and produce reports that solve specific problems. With all of the legwork done and a report in-hand, companies can focus their efforts on what they do best: Getting the job done on time and under budget. SolSpec’s software features built-in aerial data analytics tools, giving clients actionable results fully integrated into the map view, which is as easy to use as Google Earth. Currently, SolSpec’s analytics are tailored to meet the specific needs of the oil & gas industry. However, the SolSpec Viewer works equally well for a wide range of enterprise customers, such as mining, utilities, and civil construction. SolSpec has plans to grow their analytics software suite to service these industries as well in the near-term. The technology and applications for aerial mapping solutions have matured rapidly in only 5 years’ time and will continue to grow exponentially as more applications and use cases are discovered for aerial imagery. For more information about the ways that drones are helping companies protect themselves, minimize environmental impacts and increase the safety and integrity of the infrastructure around us, visit SolSpec to schedule a free consultation. Analyze your projects’ physical geography. Deliver quantitative insights. Solve vulnerabilities before they become problems.